Let's Do It for ME! : Dowload Find and Remind by Midnight to Raise 50p for Invest in ME! 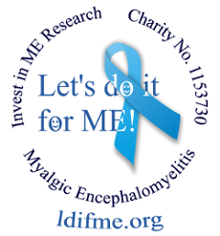 Dowload Find and Remind by Midnight to Raise 50p for Invest in ME! Last chance! Download Find and Remind before midnight TONIGHT (Friday 30th November 2012) and you’ll raise 50p for Invest in ME – completely free! What is Find and Remind? Find and Remind is a super-cool tool that helps you raise more! Basically it's an extension to your web browser (i.e. Internet Explorer, Firefox, Google Chrome, or Safari) that will remind you every time a donation is available when you’re shopping online. It’s safe, secure and used by thousands! You’ll never miss valuable donations again! Plus, Find and Remind helps supporters raise up to 5 times more! Click to download Find and Remind. About Invest in ME on Easyfundraising.